Baybay City passes it all!!! 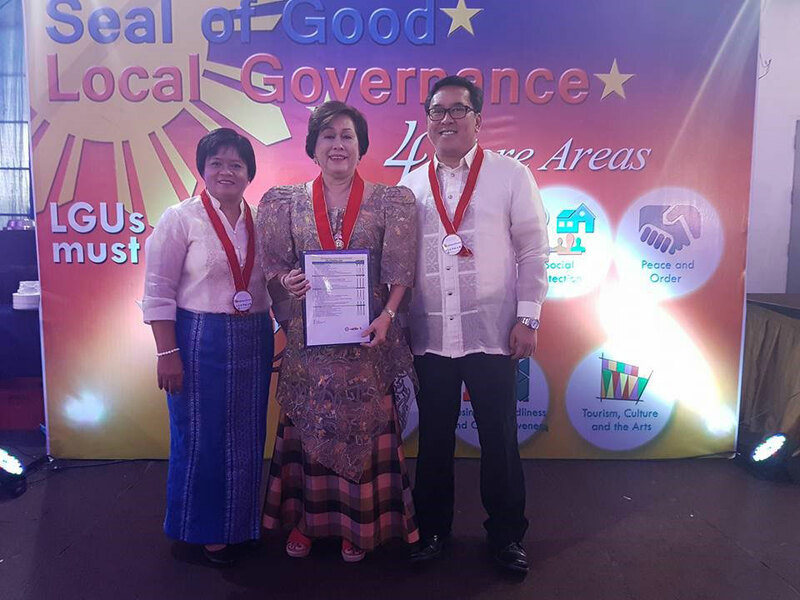 (From the left) Officer-in-Charge City Local Government Operations Officer, Ms. Estela I. Creer, Baybay City Mayor Carmen L. Cari and Vice Mayor Michael L. Cari received the Seal of Good Local Governance Award at the Manila Hotel, Tent City on November 27, 2017 (Phot Credit: Ms. Portia Bongalos, Baybay City Mayor’s Office). The City of Baybay got the 2017 Seal of Good Local Governance (SGLG) even if the Department of the Interior and Local Government (DILG) adopted a more stringent assessment criterion of 4+1, with the inclusion of peace and order as one of the core areas. Ms. Creer added that to get the SGLG Award the LGUs must pass the four core areas which include Good Financial Housekeeping, Social Protection, Disaster Preparedness, and Peace and Order; and at least one essential area, either Business Friendliness and Competitiveness; Tourism, Culture and the Arts; or Environmental Protection. But in the case of Baybay City, it passed all the core and essential areas of the 2017 SGLG. And to think that the City of Baybay had just celebrated its’ 10th Charter Day, its local officials, employees and constituents must really be proud of this accomplishment of being one of the only three (3) cities in Region 8 who got the 2017 SGLG. The two (2) others were Maasin City and Tacloban City. 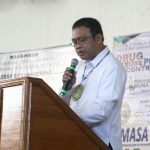 However, OIC-CLGOO Creer revealed that the biggest challenge which the Baybay City LGU faced in the assessment was on the number of barangays that have been declared as drug-cleared by the Philippine Drug Enforcement Agency (PDEA). “The process was quite tedious, but the city was able to comply with the requirements, same is true with environmental management,” added Ms. Creer. “But the City Mayor Carmen L. Cari, the Sangguniang Panlungsod, the Heads and Section Heads of the different offices, the employees and the constituents of the city really prepared for this award not just for three months but for the whole year. In fact, it has become a way of life, a culture in the city. 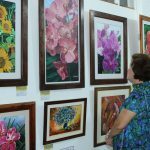 There is a conscious effort in all Baybayanons to bag the most prestigious award a Local Government Unit can get, and they did,” ended Ms. Creer. DILG Region XI ARD Suyco also explained that in validating SGLG nominees, one region validates another region to avoid bias.